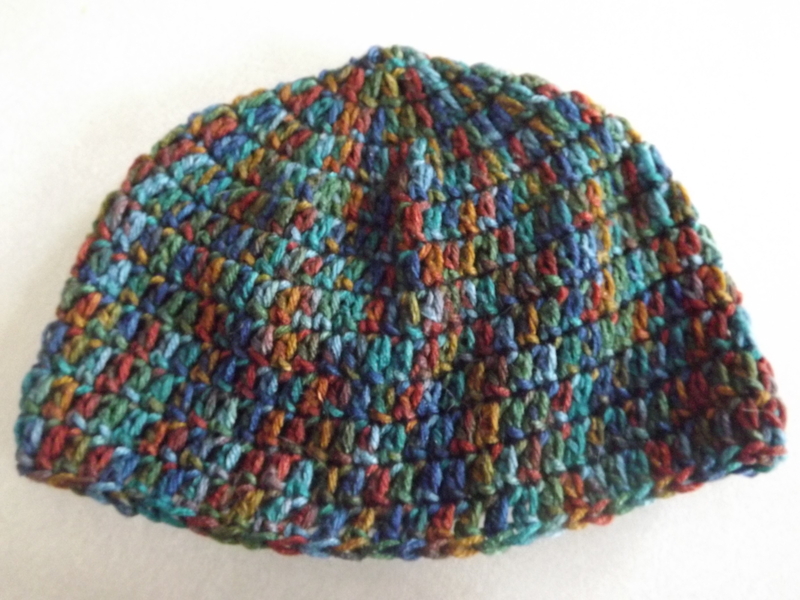 This easy free crochet hat pattern can be crocheted in an evening while watching TV. 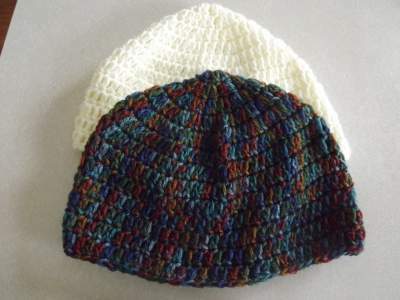 The hat would be nice as a chemo hat if you use worsted weight crochet cotton instead of acrylic yarn. End off at the end of Rnd 13. Cut off the end of yarn leaving a few inches for working in and end off.